Horses have a lot of teeth, and they need to last a lifetime. Dental issues are a leading causes of weight loss, poor nutrition as well as performance problems. 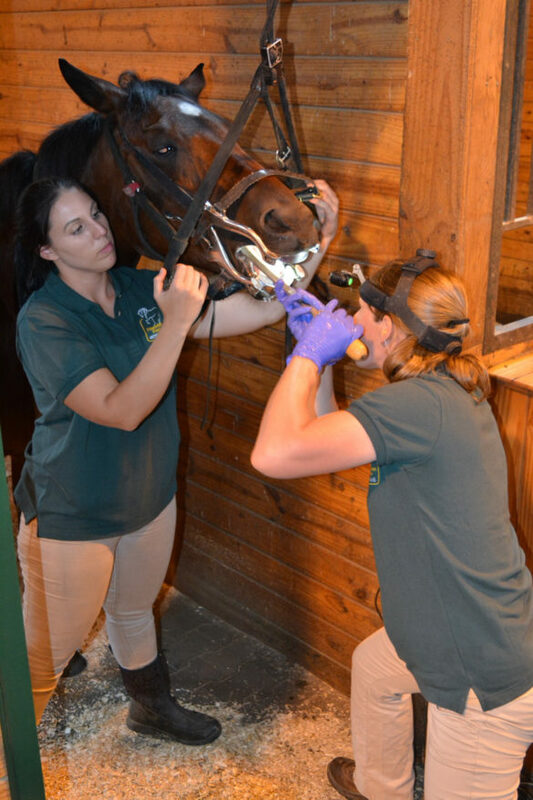 In order to keep your horse’s teeth in optimum health, we recommend an annual oral exam and floating. Because of the way a horse chews, sharp points develop which can catch and rub against the cheeks and tongue, causing ulcers. Annual exams and floating usually start when a horse is 2 years old. At that time, the wolf teeth are removed and the horse is checked for “caps” (the remnants of baby teeth that are being shed). Thereafter, an annual exam and floating is sufficient for most horses. 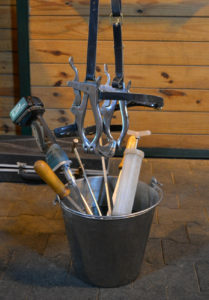 Older horses and horses with dentition or conformational problems may require more frequent work. After examining your horse, we can help you decide on the frequency of appointments. Foundation Equine is with you every stride of the way!